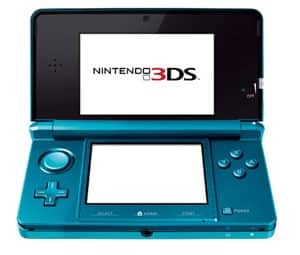 Nintendo have today further detailed additional dates for gamers to check out the prowess of the Nintendo 3DS ahead of its March 25th launch date and beyond, encompassing locations across the breadth of the United Kingdom. * March 31 – April 3rd; WestQuay, Southampton. Thats a load of bull. The United Kingdom consists of England, Wales, Scotland and Northern Ireland. All I can see is several English Tour Dates and one date in Scotland! Anyone thought of Cardiff, Swansea, Glasgow, Belfast, Londonderry? It amuses me how they just forget that the UK is not just England !!!!! Sh**ty Nintendo UK PR! This is the full list that has been released today! I’m sure that there may be additional dates that are still to be confirmed – I’m surprised that there aren’t any events within Northern Ireland or Wales yet. A load of people writing into our podcast very annoyed about nothing for Wales and Belfast. How is anyone suppose to give it a try beforehand? How are some of us supposed to report on it without a hands-on? I wasn’t expecting more than 1 show here in Belfast for NI but shocked at nothing. I agree….. where are the dates in Wales??? dude, it’s in Manchester now at the Arndale. Why no dates in Wales???? Aye, as a Cardiff/Wales “dweller” myself, always annoys me when I see us left out/only England catered for. There was a Kinect event back on October the (uh, quickly checking…) 17th, and that had a better tour/location variety. Not great, but certainly better. I agree as the 2nd city of the UK surely Birmingham should have a date , where is it. Did you also know that its one of the nearist cities to the centre of England aswell. PLease add Birmingham, Nintendo, you would be doing yourselves a massive favour if you did. I think coventries actually the closest city to the centre of England but there is only a couple of miles or so difference. So Birmingham should definately be included can’t see any valid reason why it isn’t. Sort it out PLEASE. I can’t see any in Yorkshire either. The more cities visited the more the public will see it, hence your sales will increase, Cant believe youve lkeft Brum out with all the potential customers their whats going on!! !